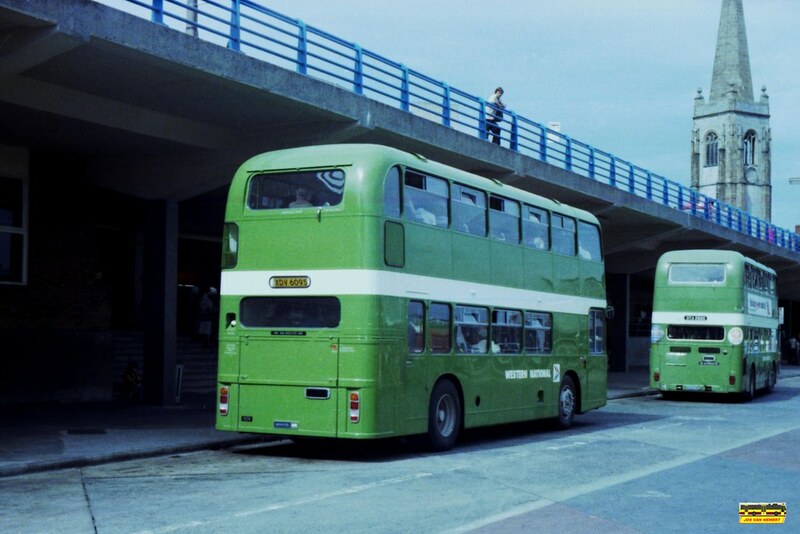 ©Jos Van Hemert: Western National Bristol VR 1129 XDV609S BretonSide July 1983. I dont really need much excuse to put up of Jos' excellent photos especially when when it contains two Bristol VRTs like this shot. The added bonus as far as I am concerned is that I am 95% sure that the young chap looking down at the scene and no doubt watching the photogapher is me! Certainly the date would be right and the clothes are what I was wearing at that time. I never was a trendy dresser. My wife is pretty sure its me as well so that clinches it for me!